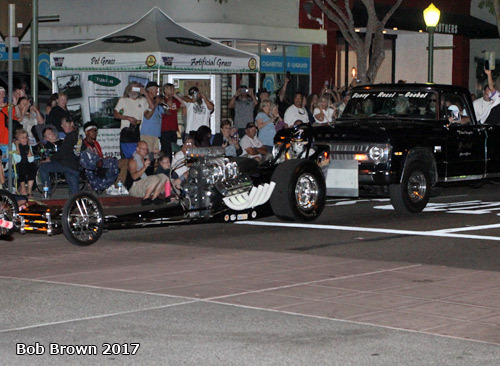 After static starts and simulated push starts the cars rolled two city blocks to the Christmas Tree/Starting Line. 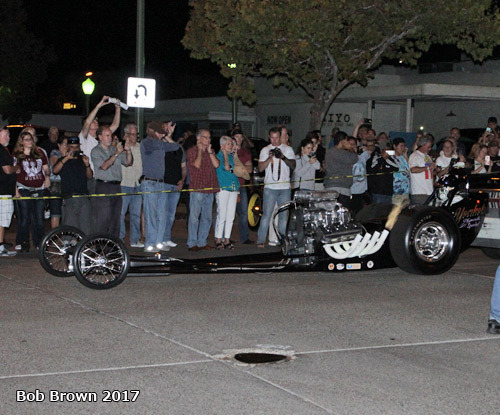 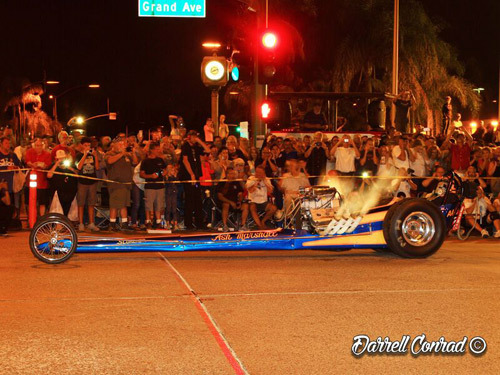 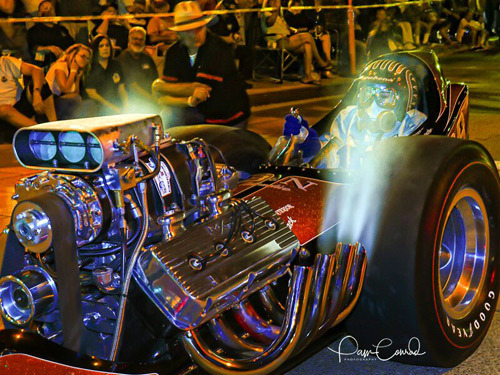 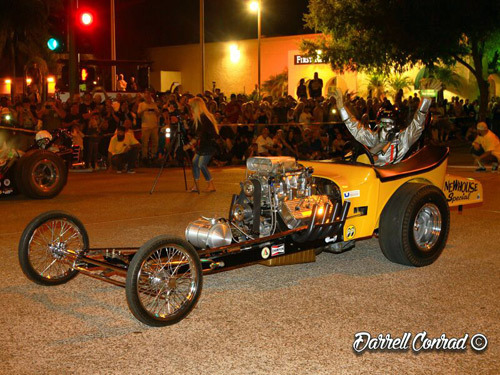 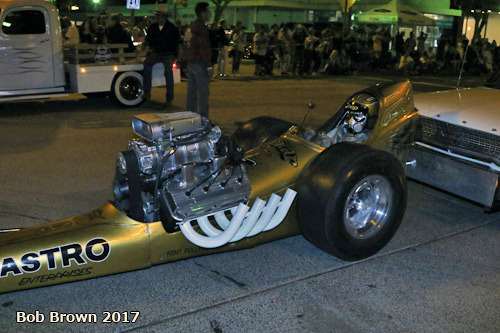 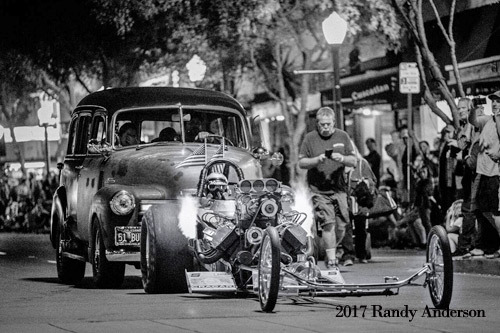 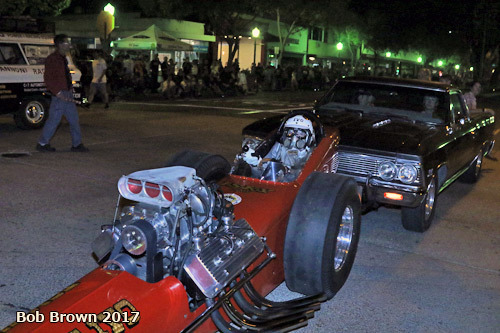 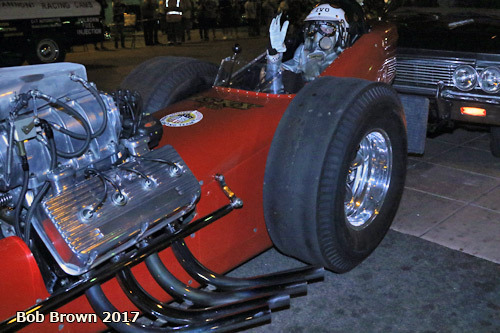 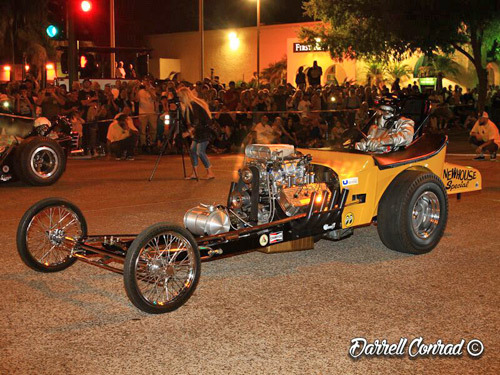 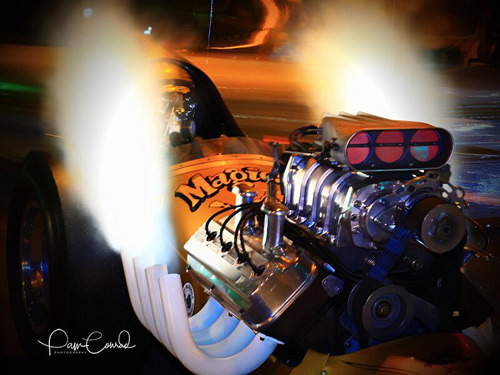 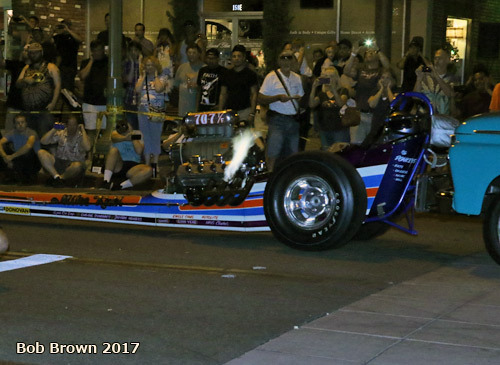 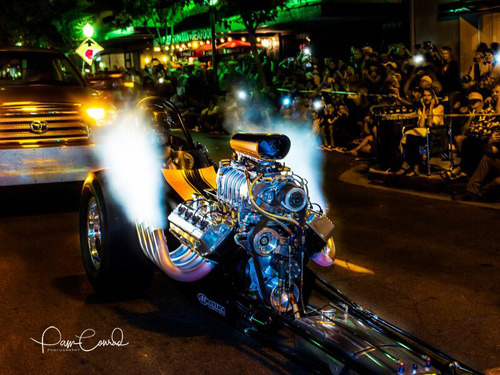 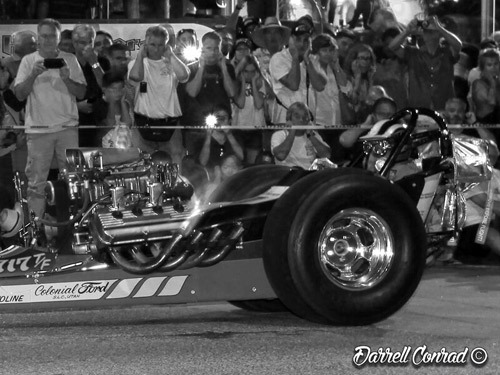 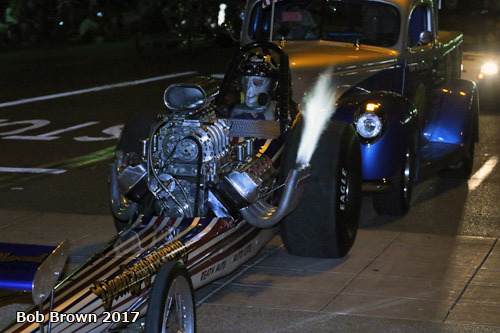 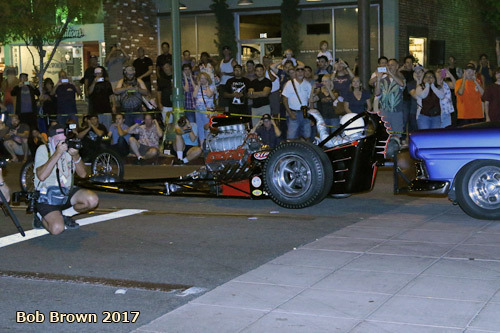 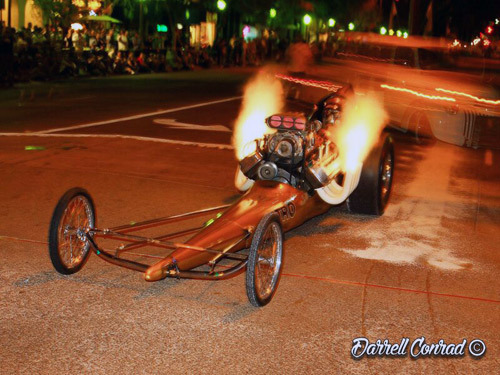 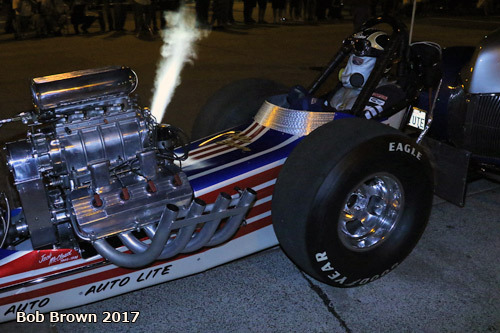 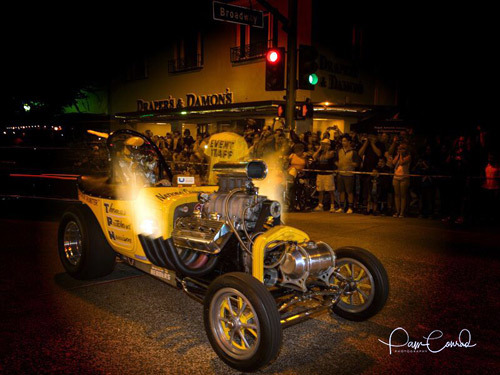 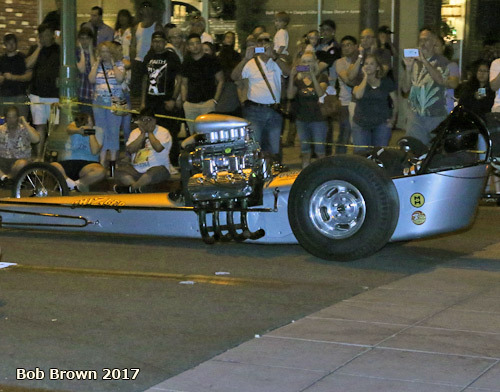 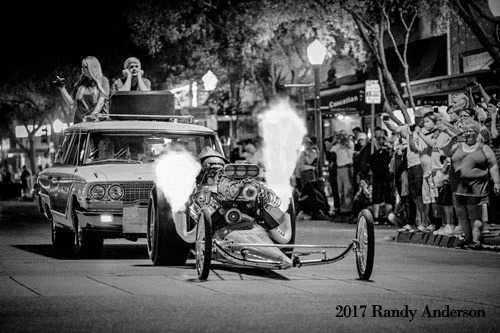 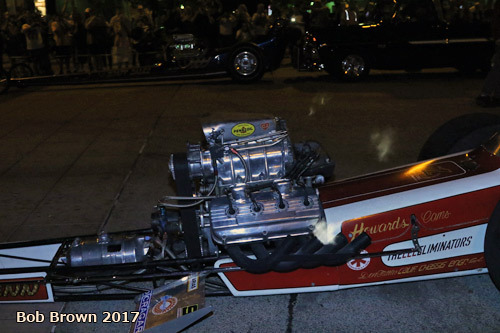 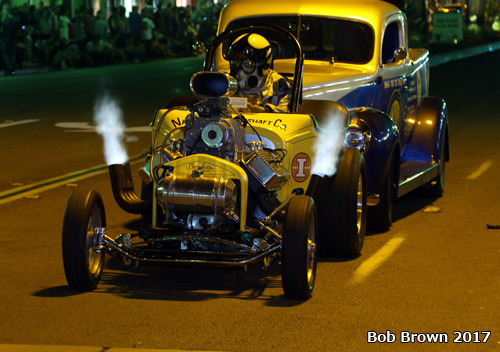 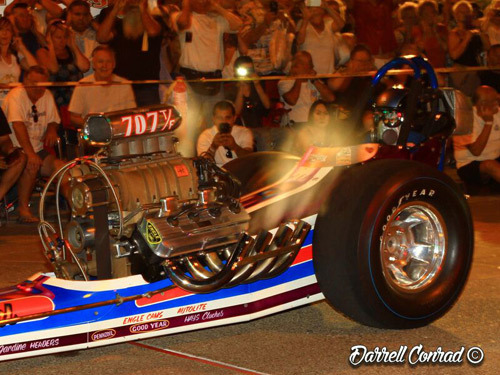 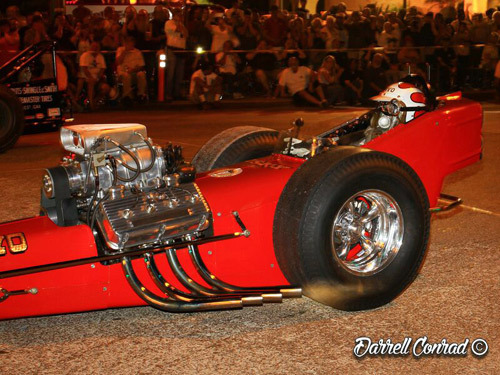 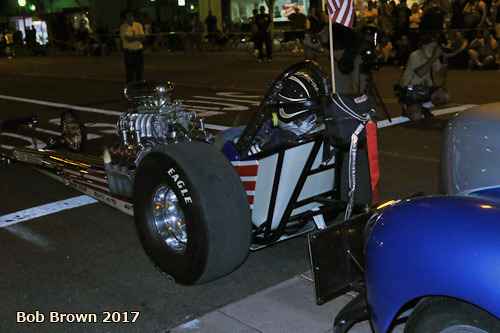 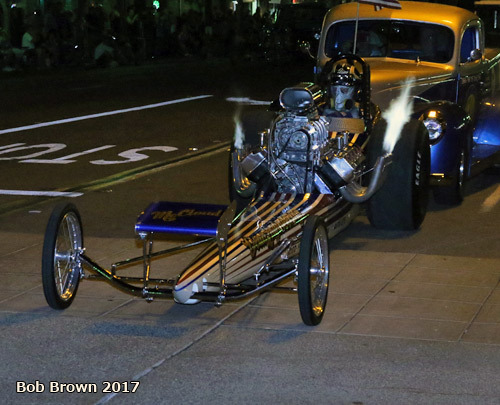 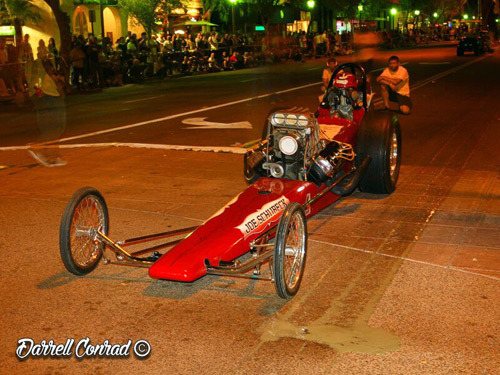 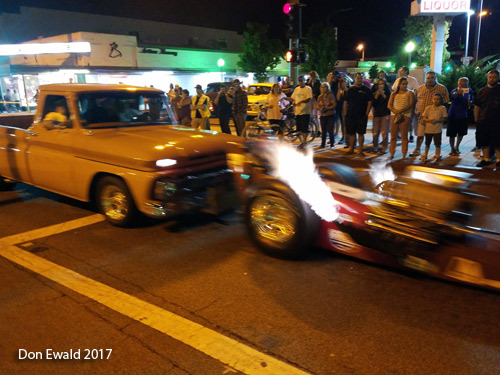 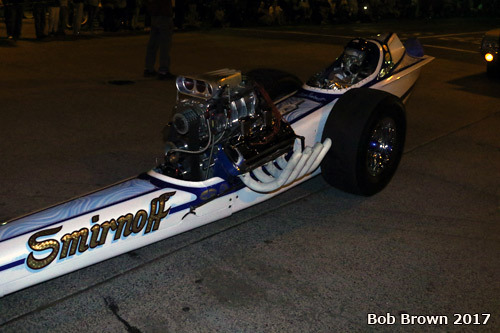 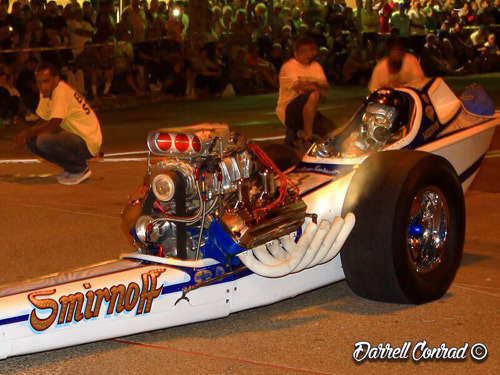 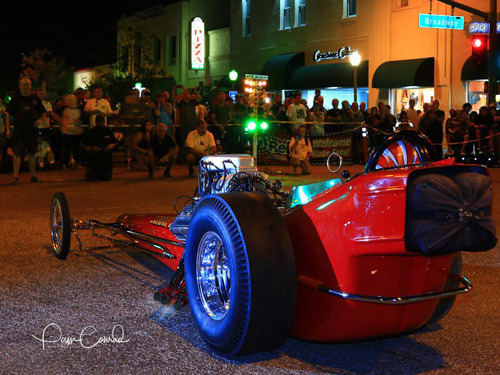 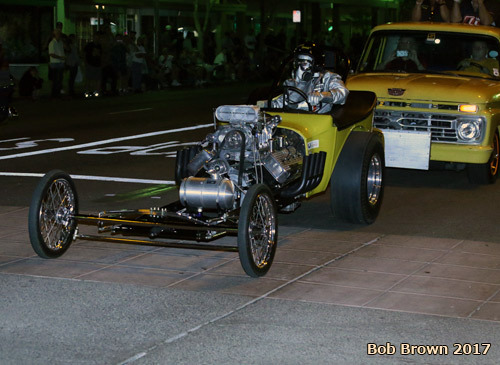 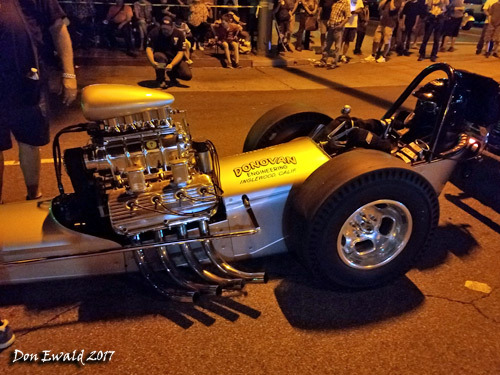 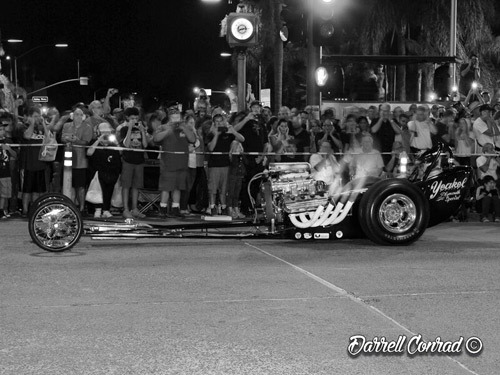 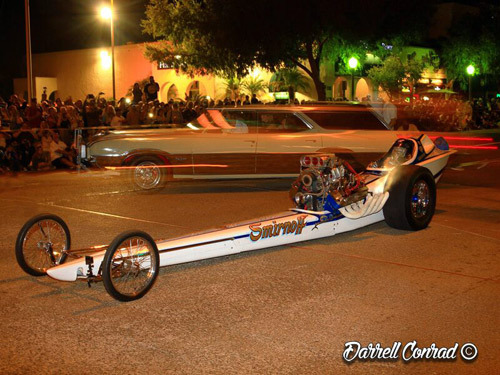 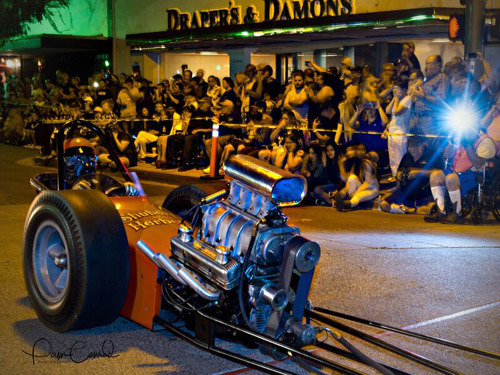 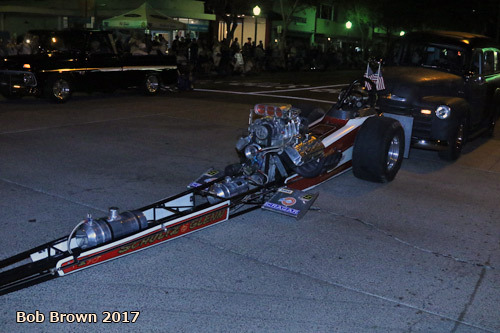 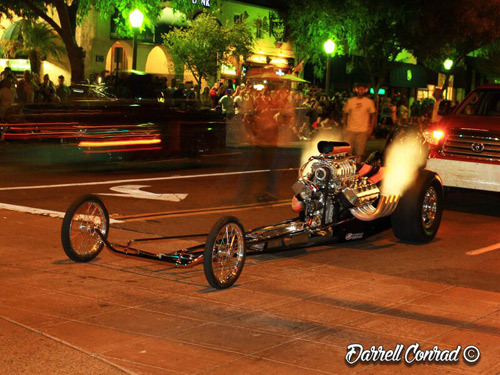 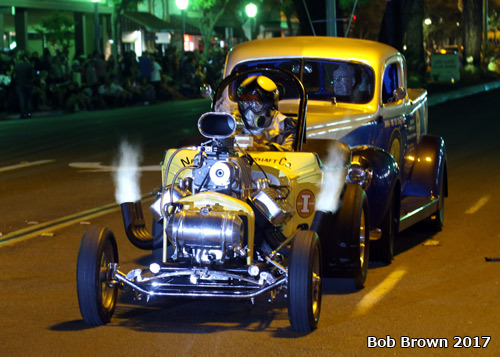 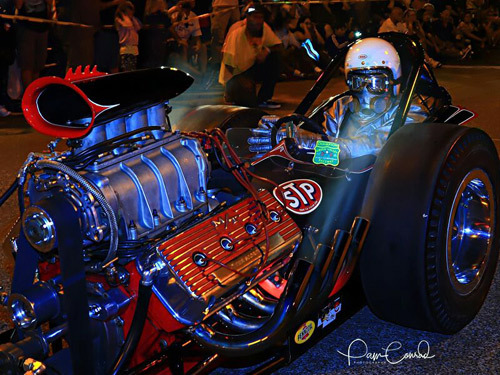 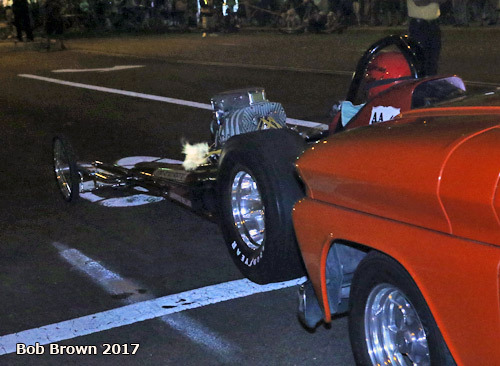 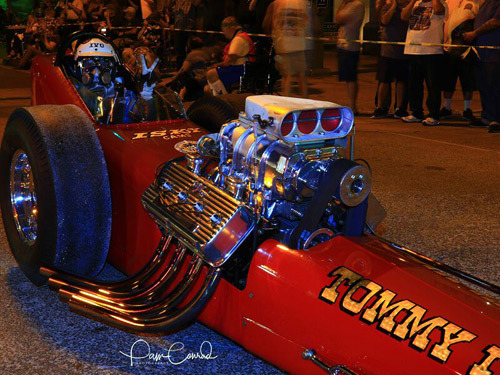 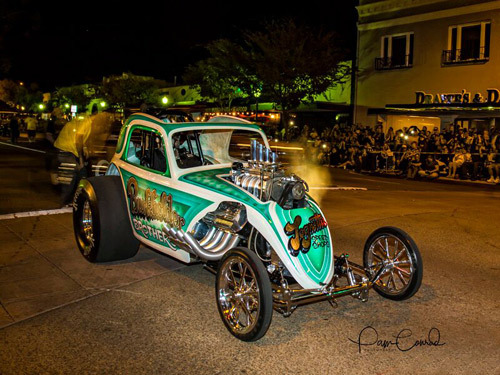 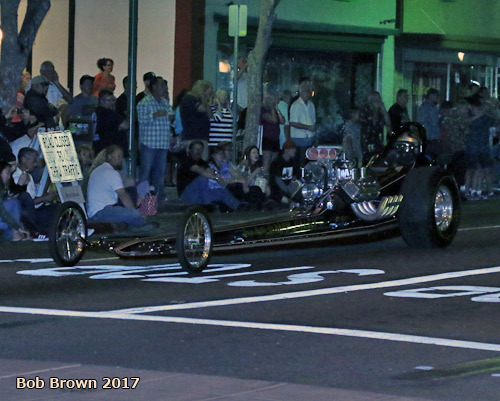 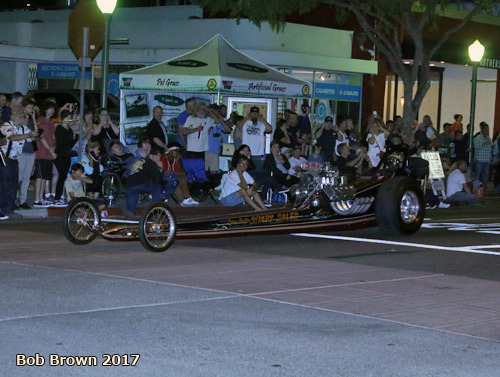 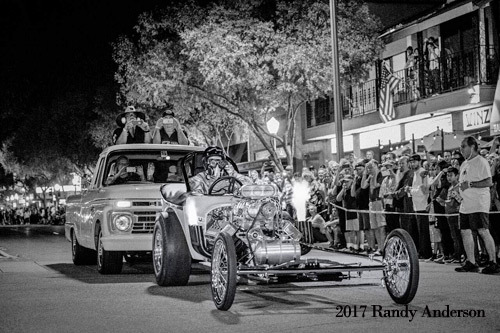 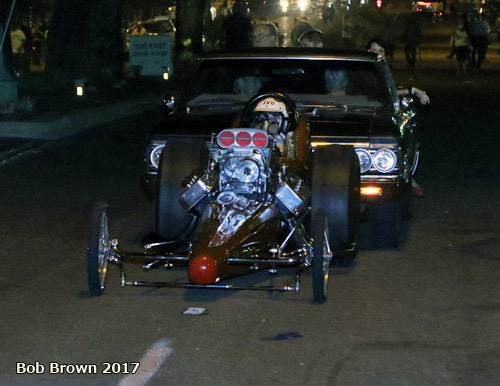 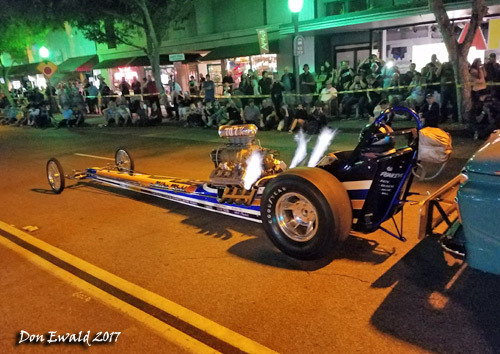 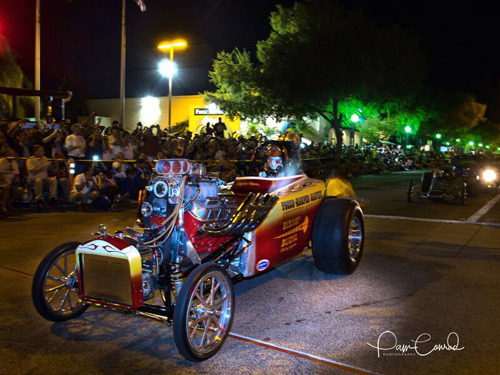 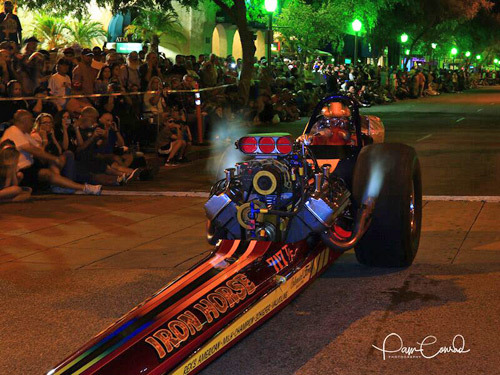 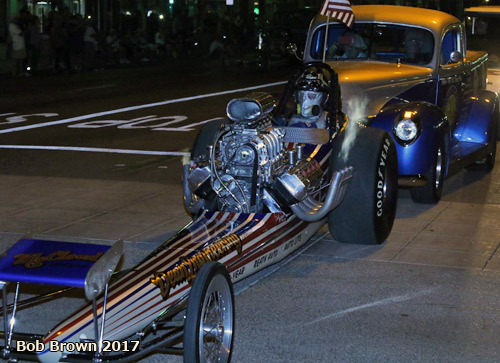 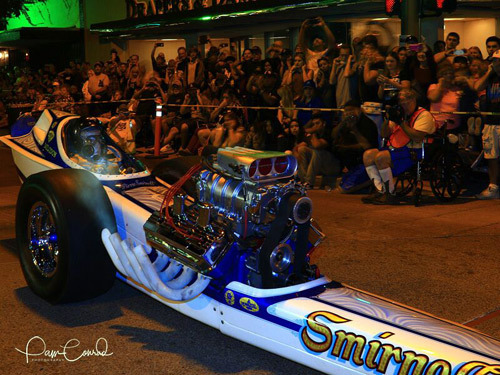 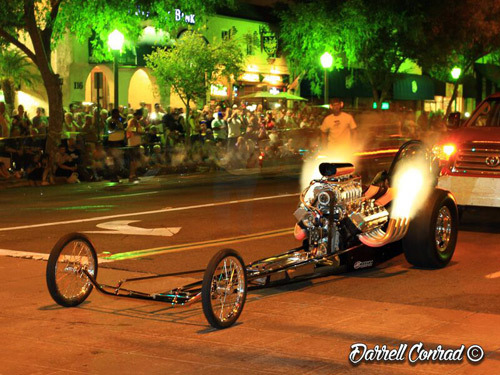 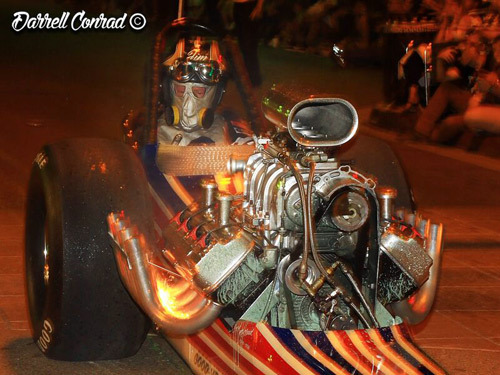 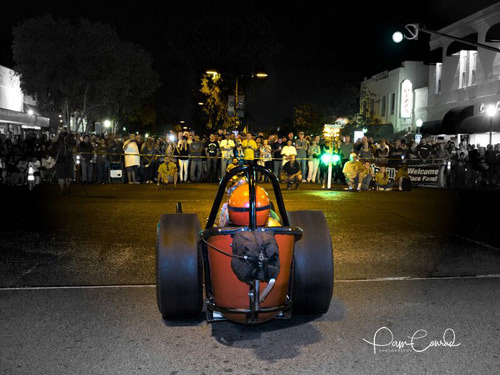 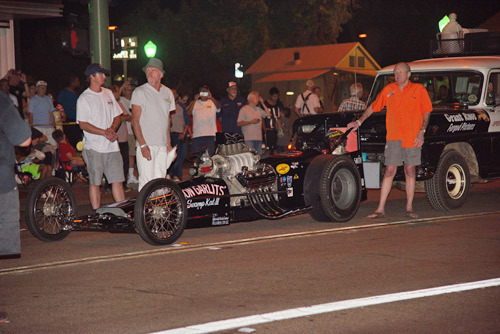 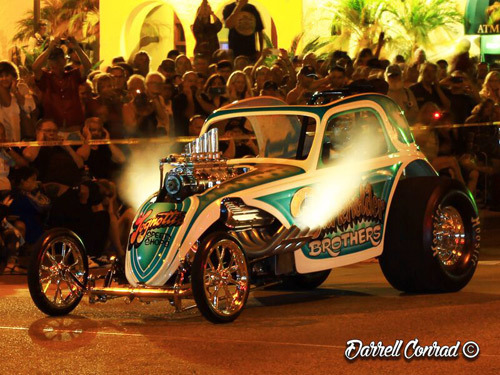 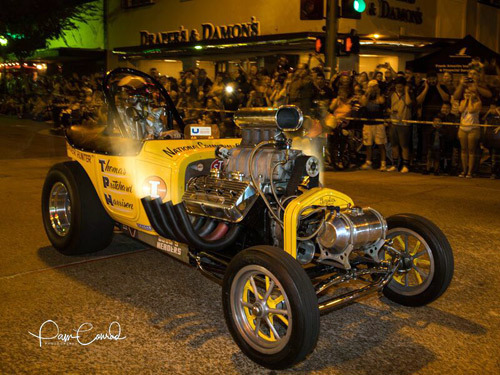 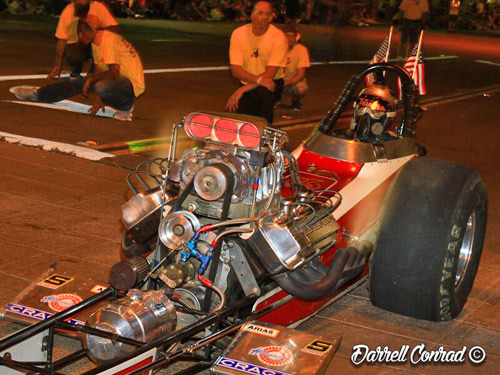 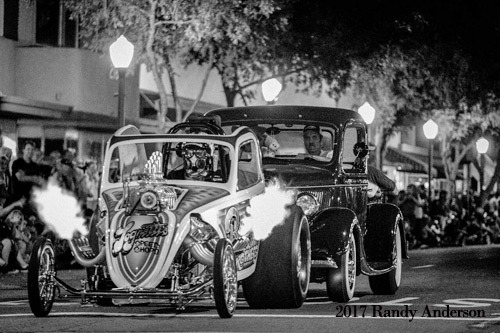 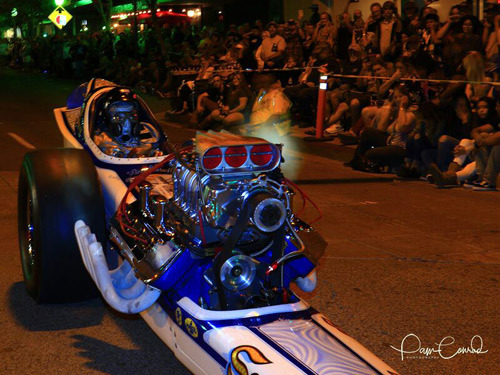 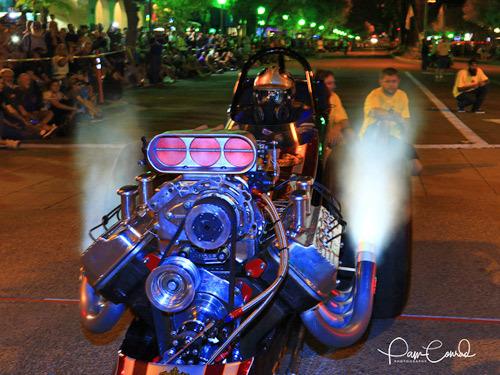 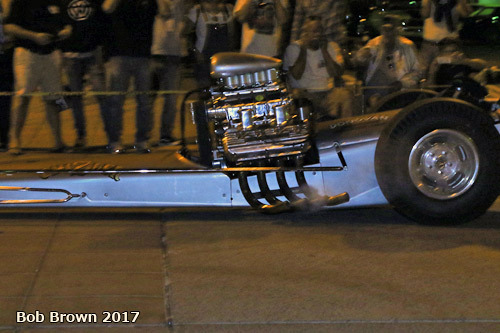 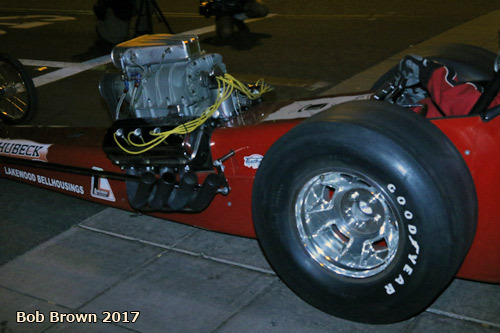 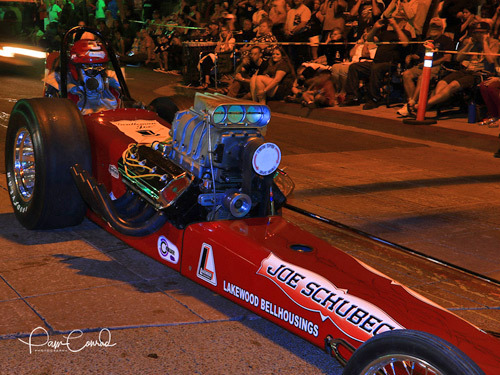 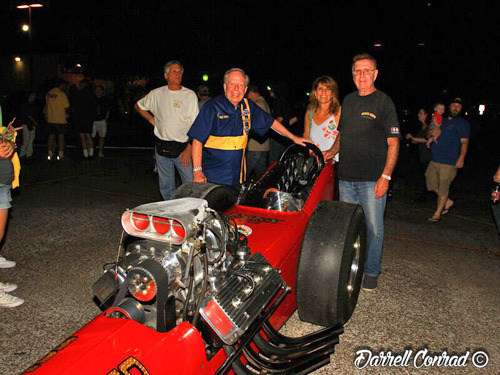 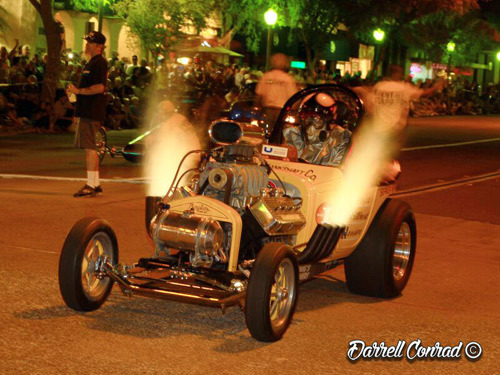 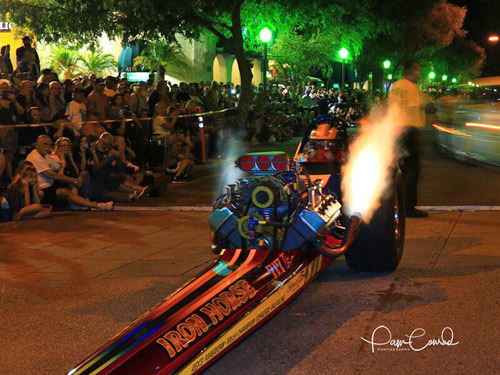 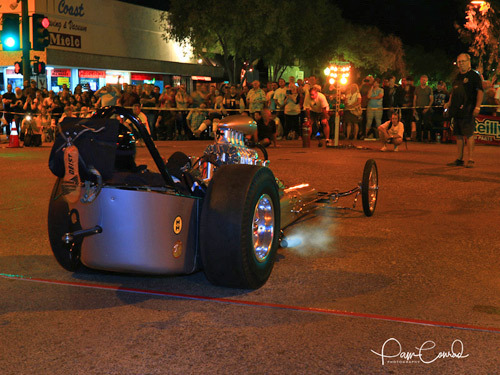 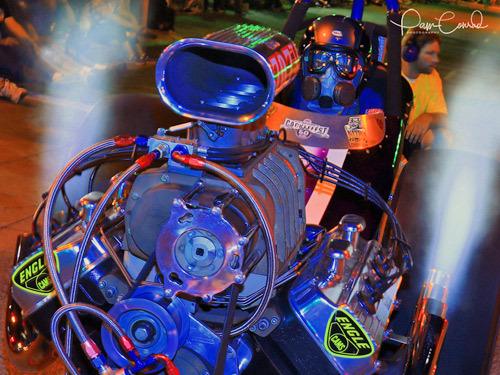 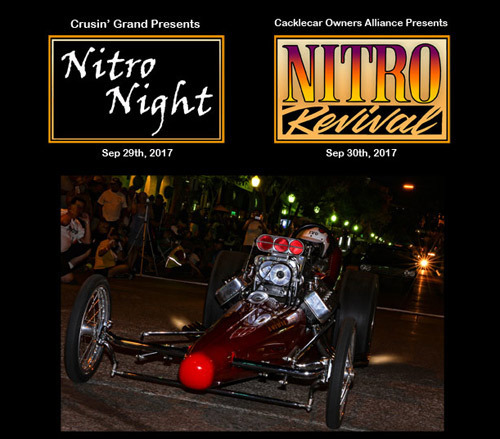 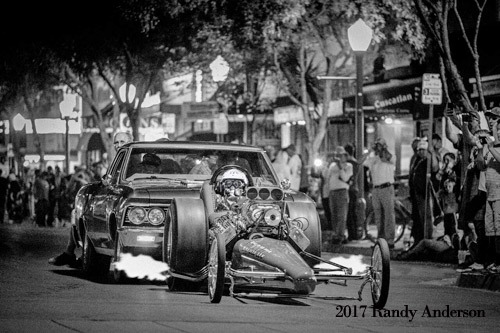 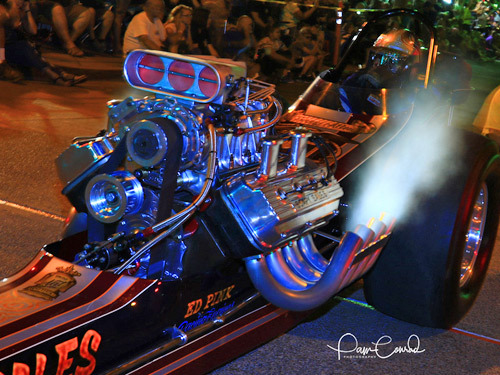 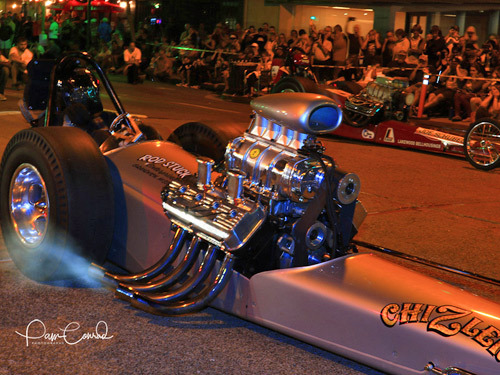 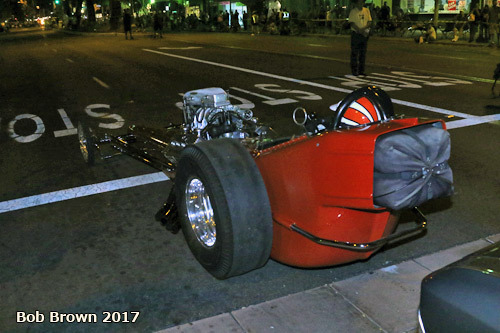 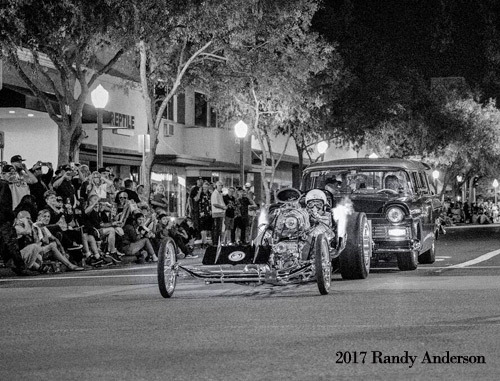 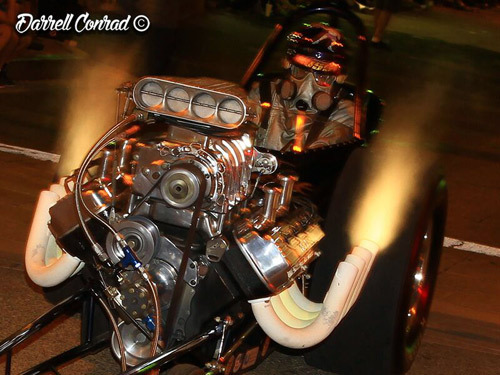 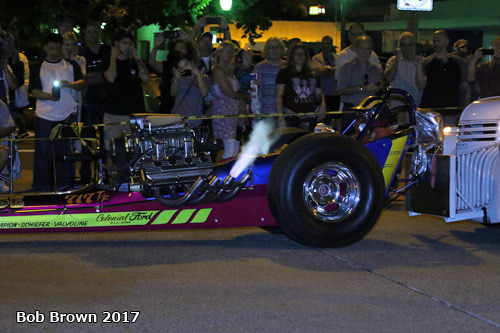 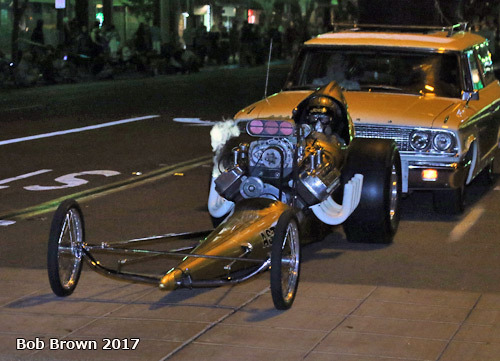 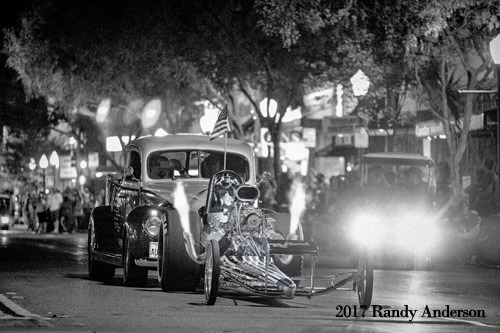 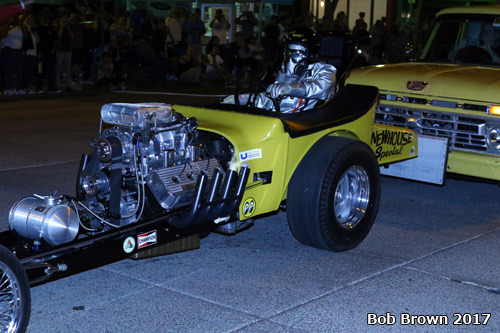 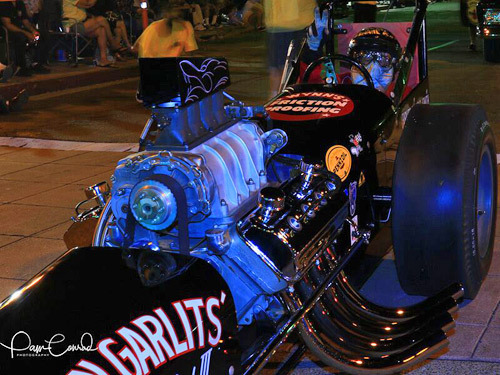 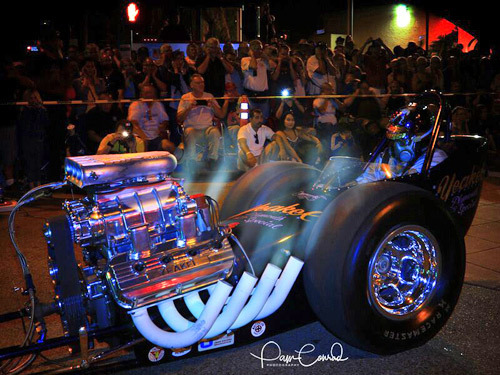 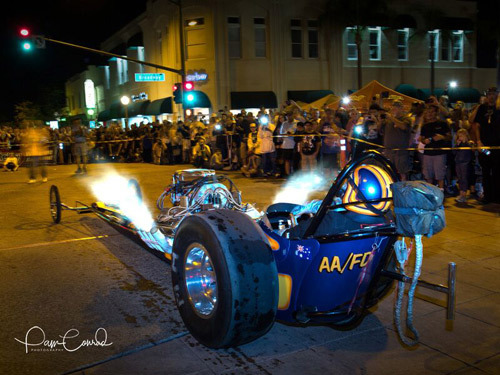 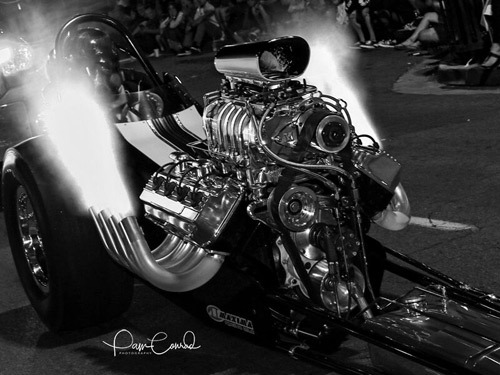 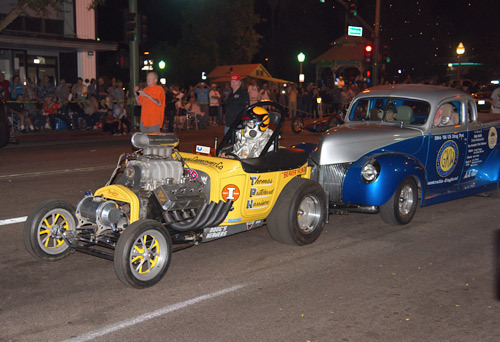 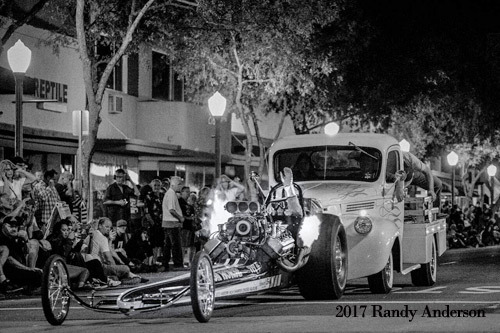 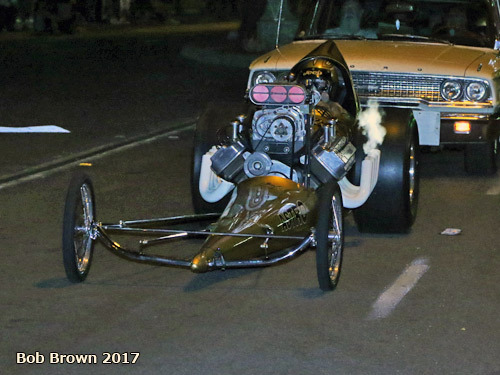 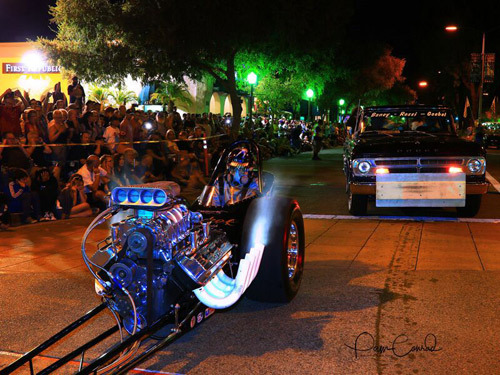 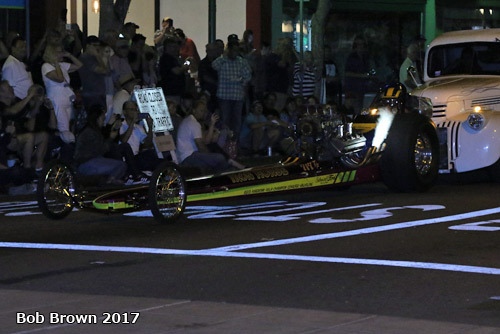 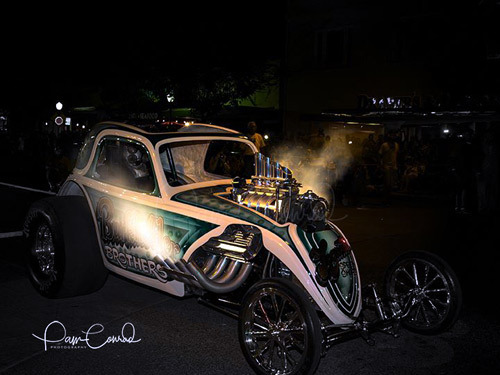 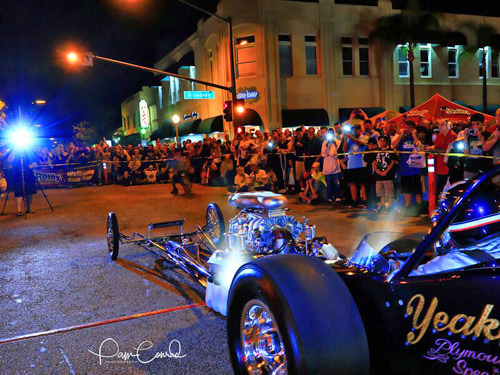 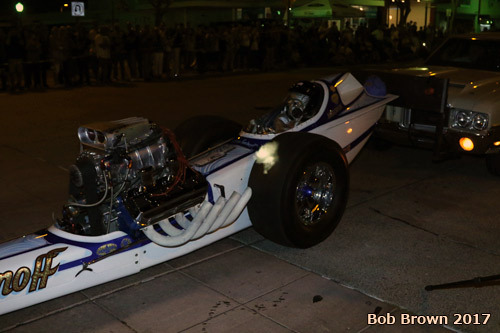 The streets of Escondido were alive with the sound of nitro. 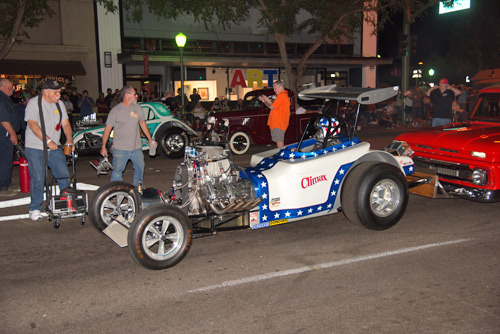 The first pair down was two AA/FA - Climax and Burkholder Bros.